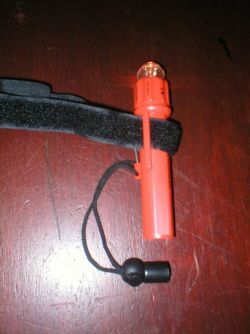 This is a brilliant piece of safety kit. 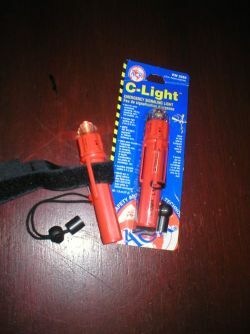 This would mean if you were in the water you would be easily be seen even in total darkness. It takes 2 AAA size batteries which should give about 40 hours of continuous use. It is very light so even with the batteries in it won’t hinder your movements at all.